PROPERTY SUMMARY A three bedroom end of terrace family which is situated in a popular residential location yet within close proximity of local shopping amenities, bus routes, recreation grounds and catchment for both Court Lane and Springfield Schools (subject to confirmation). 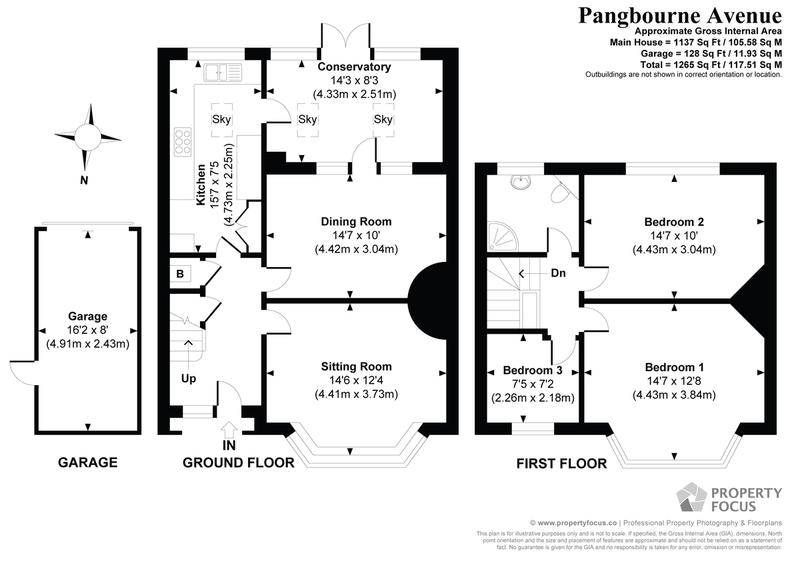 The accommodation is arranged over two floors and comprises; hallway, sitting room, dining room, kitchen and family room on the ground floor with three bedrooms and a shower room on the first floor. Having gas fired central heating, double glazing, an enclosed rear garden with gated car parking facility, a garage and being located in a cul-de-sac, early internal viewing is strongly recommended in order to appreciate both the accommodation and location on offer. HALLWAY Textured ceiling, balustrade staircase rising to first floor with understairs storage cupboard housing gas and electric meters, further cupboard housing boiler supplying domestic hot water and central heating (not tested), radiator, picture rail, dado rail, doors to primary rooms. SITTING ROOM 14' 6" x 12' 4" (4.39m x 3.66m) Into bay window. Double glazed bay window to front aspect with radiator under, infinity ceiling, panelled door, power points, curved fronted fireplace. DINING ROOM 14' 7" x 10' 0" (4.42m x 3.05m) Panelled door, dimmer switch, radiator with cover over, curve fronted fireplace with glass block and wooden hearth, glazed panelled door with windows to either side overlooking conservatory, laminate flooring, power points. FAMILY ROOM 14' 3" x 8' 3" (4.32m x 2.51m) Twin skylight windows, double radiator, glazed panelled door with windows to either side leading to dining room, twin double glazed doors with windows to either side leading to rear garden, wood laminate flooring, power points. FIRST FLOOR Landing with balustrade, access to loft space, doors to primary rooms. SHOWER ROOM Fully ceramic tiled to floor and walls, corner shower cubicle with curved panelled door, ceiling spotlights, pedestal wash hand basin with mixer tap, corner w.c., with twin flush, double glazed frosted window to rear aspect, radiator, panelled door. BEDROOM 2 14' 7" x 10' 0" (4.42m x 3.05m) Double glazed window to rear aspect overlooking garden, radiator, power points, picture rail, panelled door. BEDROOM 1 14' 7" x 12' 8" (4.42m x 3.84m) Double glazed bay window to front aspect with radiator under, picture rail, panelled door, power points. BEDROOM 3 7' 5" x 7' 2" (2.24m x 2.16m) Double glazed window to front aspect with radiator under, picture rail, panelled door, power points. OUTSIDE To the front is a gate opening with crazy paved pathway leading to covered porch, slate chippings with hedge border, side pedestrian access leading to rear garden. To the rear is as southerly facing garden with raised decked area and balustrades with steps leading down to further decked area, side pedestrian gate, enclosed on all sides by fence panelling, outside cold water tap, privet style hedge with flowering borders to either side, greenhouse, primary garden area is laid to paving with a decked area and water feature, pathway leading to side of garage. There are twin gates providing vehicular access at the rear leading onto a large hardstanding area, (currently being used for caravan storage). Access is via a service road accessible from the end of Court Lane providing pedestrian and vehicular access to gates.